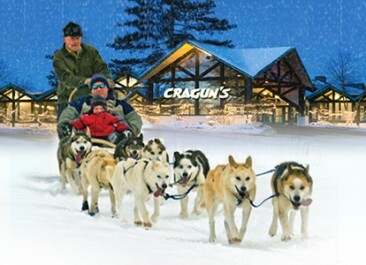 Jingle, jingle, all the way-Have a family fun holiday at Cragun’s this year! 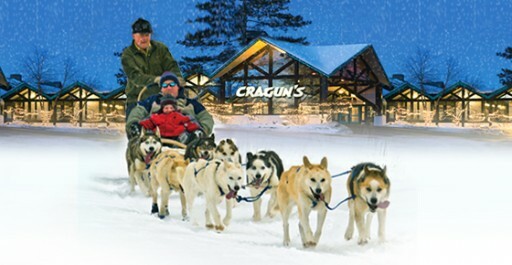 The holidays at Cragun’s may be the most festive and fun, yet most relaxed event that you’ve ever experienced. Our winter vacation packages will help you start a holiday family tradition creating memories that will last a lifetime. Great family activities throughout the Holidays such as: Ice skating, bonfires, broomball, X-C skiing, snowshoeing, Vacation Creations, family medallion hunt, and evening family entertainment. Christmas Stay (12/24-12/27) includes our traditional Christmas Dinner Buffet, annual Christmas ornament and Christmas Eve non-denominational church service. December 27-29 enjoy a Welcome Party and Dinner Buffet on Friday 12/27 and planned family activities throughout the weekend. New Year’s Stay (12/30-1/1) includes 2 great New Year’s Eve Parties – a Family Entertainment Extravaganza with music, dancing, entertainment, games, prizes and more in the Sports Centre (children ages 10 and under must be accompanied by an adult) and an Adult Karaoke Party in the Bear Trap Lounge. New Year’s Eve Dinner buffet is available for an additional charge. Also enjoy huge indoor pool area, saunas, whirlpools, sports centre, DJ & karaoke.